Exactly the same as if you were full-time. Although, given how often this question comes up, we’ve got to think it’s not so simple as it sounds. But we advise you take control of your career – it is yours after all – whether you work full-time, part-time, or two days a week from home. Organise regular meetings throughout the year that focus on your career – not just a quick question at the end of a meeting or an email. If you can, have a face-to-face meeting but if it really is not feasible make sure you have regular telephone conversations. 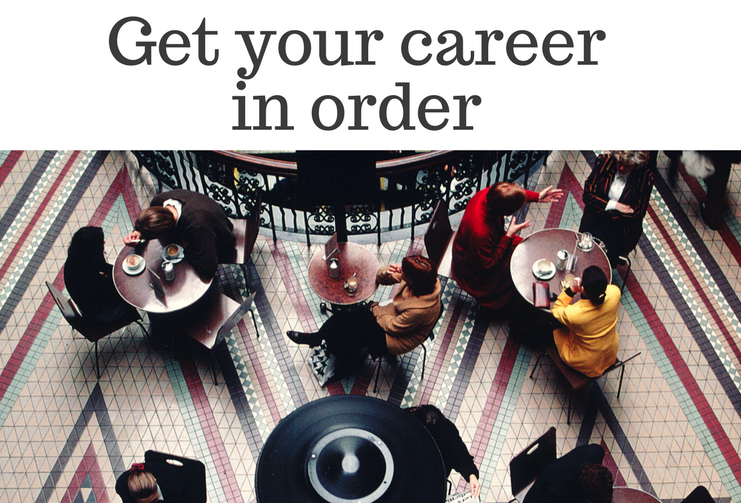 Set up time with your manager to discuss your career plans. Tell them your career goals, aspirations and ambitions. Listen to their ideas and suggestions and work out a strategy between you so they become invested in the process and you learn exactly what is expected of you. Preparation is key. Prepare for your performance or career development meeting. Reflect on what has gone well over the past 6-12 months, and be ready to explore what hasn’t gone so well (ideally with some thoughts for remedying problems). Did I achieve my objectives? What did I learn? What do I need to build my technical competencies or CPD? What are my career aspirations for the future? Complete any relevant performance review documentation – which should be the same whether you work flexibly or not. These documents can be quite cumbersome or long-winded but it is your career and it is your opportunity to ‘sell yourself’. Use the firm’s or department’s behaviourial and technical competency frameworks, the job description, previous performance reviews, feedback form – many firms use 360 feedback systems but if not keep email feedback you may have had from clients (internal or external). These are all good starting points to showcase your performance. Identify objectives you have already achieved, or even exceeded. If there are any you haven’t achieved, make sure you know why. It is a good idea to be thinking about the next steps, and what objectives you would like to achieve next. Those employees who take control of their careers and can identify their own objectives particularly if it marries with that of the teams, departments and firms impress all managers. Prepare your objectives – make them SMART (or an alternative) but most importantly make sure they are quantitate and qualitative, including e.g. utilisation targets, profitability, client satisfaction rates, billing targets, feedback, secondments, developed networking opportunities, improved work efficiency, x recruits, survey results etc. Once you have decided on your short, medium or long-term objectives think how you are going to achieve them. Development activities might include internal and external training (although with budget cuts be prepared to consider online or on-the-job-training). Let people know what you are wanting to achieve so they can give you those opportunities that arise. Many firms offer job shadowing, mentoring and coaching –and if not on a formal basis most certainly on an informal basis from counseling managers, and other managers. It doesn’t even have to be from your own department – many successful partnerships have been external or from another department. What these meetings encourage is time spent focusing on what it is you want and how to achieve it. Develop relationships. Don’t wait until review time to show your intent to be promoted or to discuss what you are looking for in your career. Have regularly conversations with your managers, peers or role models throughout the year. Hearing how other people have developed their careers can help to focus your career goals. You do not have to always follow a set path (look at Sadie Baron). Or look for those in the business who are working flexibly and ask them how they achieved their promotion / career development and what they had to put in place to make it happen. These top tips will support you in your career development but if you do not get promoted this time or you are not supported in your career progression, find out why and ask your manager. There will be times when you will not agree with the decision but your reaction to this disappointing news (this time around) will get noticed if you throw your toys from your pram. That is not to say you do not show your disappointment – of course you can but respond in an adult and considered way and work with your manager on how to make it happen – next time.